At times you may want to access the database for your Joomla or WordPress site. 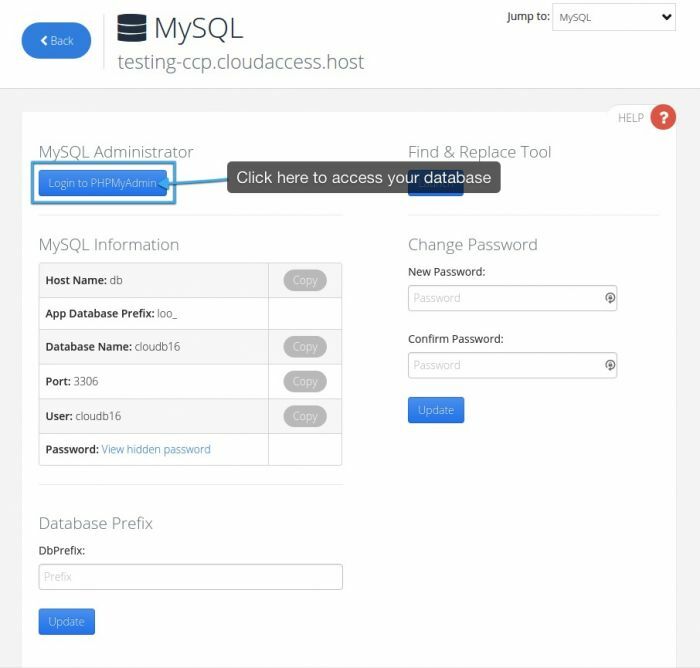 Any kind of MySQL 5.X client can be used to connect to MySQL on our platform remotely. This article explains how to access the MySQL database for your Joomla site using various operating systems. Using the Linux OS this is traditionally done using a MySQL command line tool. There are two resources below that can help you learn how to access the database using Linux. It is also possible to use the MySQL Workbench client that is described in the next section. The MySQL Project recommends that Windows users use the MySQL Workbench client to access their database remotely. There is a forum through the MySQL Developer Zone that can assist with any questions you may have, and there are many reference manuals through the MySQL Documentation that are helpful as well. There are some other commercial graphical clients that can be used to access a database remotely for Linux and Windows operating systems. 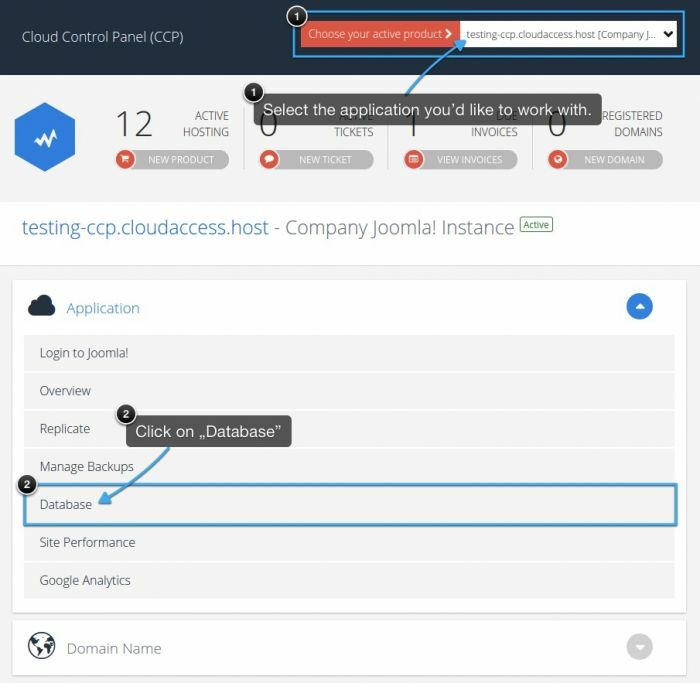 You can access this information by logging into your CloudAccess.net Cloud Control Panel™(CCP). Once in the CCP, select the Jsite that you'd like to work with at the top of the page and then click on the "Database" icon below. In the MySQL area, you can clik on the "Login to PHPMyAdmin" button to access your database. You'll also be able to access your host name, database name, port, username and password in this area. You will need following information to connect to your database. the database name – same as user name.